Most of us know we should work out, now whether or not we actually do is a whole different situation. You may need it for weight loss or you might need it to take care of some health concerns. Either way, even if you are within your ideal weight you should still get your rear on a treadmill. I personally know what it takes to get me to the gym, a workout buddy that is excessively pushy. Sadly, I’ve moved away from my workout buddy and now that she’s gone I haven’t made it to the gym. 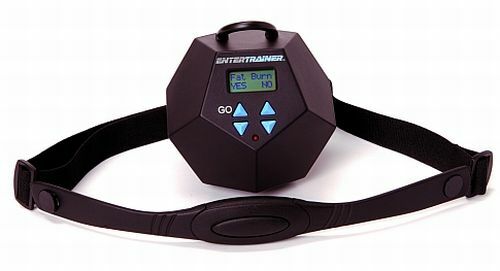 Well if you have issues finding the motivation to keep your personal fitness going you might consider a belt like this. No it’s not yet another of those silly belts that claims to make you lose weight all the while you never even lift a finger. No, this device is meant to motivate you to get you up and running again. You decide how vigorously you want to work out and program that as well as your age and weight into it. Then it will check your heart rate and if you seem to be slacking off it will turn down the volume on the TV. If you don’t get in gear it will shut off the TV entirely until you finally do get back to where you’re supposed to be. To pick one up it will cost you a whopping $139.95. Unless you already have a heart monitor, then you can pick up only the remote for $29.95.